Audio injections balls to wall techno pack is pumped up and ready for action weather your a producer, remixer or D.j. This chart ready pack contains all the tools you need to build up a remix or a new micro track on the fly using NI Traktor. But that just the start. 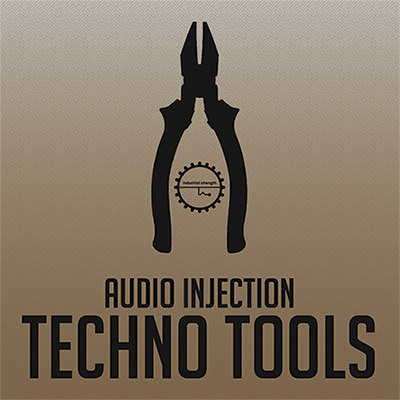 Techno Tools is also a great go to sound source for building up, adding to, and of course creating your own track in the studio. The pack features a cool selection of one shots all in NI Maschine, Battery 3. as well as a slick assortment of pumped up loops in Rex.2 and Apple Loops for total control. Techno Tools serves up a license free selection of kick Loops, bass Loops, hat loops and a bunch of processed loops all in 24 Bit 44.1khz stereo for use in any Daw. Weather you into producing , Djing or both. This essential ISR sample pack has got you covered. Now get out there and get to work !